Attorney General Maura Healey will appoint a special prosecutor and recuse herself from any investigation into alleged campaign finance violations by Thornton Law Firm, whose lawyers, including former House assistant majority leader Garrett Bradley, donated to her political campaign. The action followed a day of calls by Republicans, including Governor Charlie Baker, for her to step aside to avoid a potential conflict of interest. Campaign finance regulators say they have evidence that Thornton Law, a major Democratic funder, illegally reimbursed the firm’s partners and their spouses for political contributions. “In the best interest of this case, and to avoid even the appearance of a conflict, we will appoint an independent prosecutor if a referral is made to our office,” Healey spokeswoman Jillian Fennimore said in a written statement. Several Republicans, including House Minority Leader Bradley Jones of North Reading, Representative Shawn Dooley of Norfolk, and former US attorney Michael Sullivan, had urged Healey to name an independent prosecutor to investigate whether the firm violated the law by reimbursing partners for up to $175,000 in political donations from 2013 to 2016. Such reimbursement schemes are generally illegal because they disguise the true source of the donation — in this case, the law firm. Healey returned $4,500 in donations from Thornton law partners after revelations about the massive bonus program were published in the Globe last October. She also called for an investigation by the state Office of Campaign and Political Finance and the Federal Election Commission. Fennimore, the Healey spokeswoman, said the attorney general was already thinking about recusing herself from the investigation before Republicans demanded it. Last month, Michael Sullivan, director of the state’s Office of Campaign and Political Finance, notified Thornton Law Firm partners and their spouses that he planned to ask Healey to consider criminally prosecuting partners at the firm over the reimbursements. Thornton partners donated millions of dollars over the past decade, but most of the money went to Democratic candidates for Congress outside of Massachusetts. The US attorney’s office is investigating whether those donations were illegal. In a letter to the partners, OCPF’s Sullivan flatly accused them of breaking state law. “You violated Section 10, which prohibits individuals from making a campaign contribution in any name other than his own and except his own, nor in any manner intended to disguise the true origin of the contributions,” wrote Sullivan. If the case is referred to the attorney general, it would make the first time state officials sought criminal penalties in a so-called “straw donor” case. Sullivan gave the firm a chance to argue against the referral at a hearing Wednesday. An OCPF spokesman said there is no deadline for making a referral except that it must be made before the agency’s three-year statute of limitation expires. Thornton officials have said they did nothing wrong and that the reimbursements — termed “bonuses” in the firm’s payroll records — weren’t really bonuses at all, but the partners’ own money, taken out of each’s equity in the firm. Dooley made the first public appeal for Healey to step aside in the case, calling on her to appoint an “independent special prosecutor” in conjunction with the US attorney “to bolster the citizens’ confidence in the electoral process.’” He noted that not only had Healey received Thornton money, the law firm is led by a former top Democratic lawmaker, Bradley, a member of House leadership during the period the firm reimbursed its partners for their political donations and those of their spouses. “It is critical that these allegations immediately be addressed to ensure the public that our elected officials are not playing by a different set of rules from the rest of us,” wrote Dooley. Former US attorney Michael Sullivan, a Republican, also urged Healey to step aside, though he said he doesn’t believe Thornton’s donations were illegal. Sullivan, who worked as Plymouth district attorney when Bradley was an assistant, noted that an outside law firm reviewed Thornton’s reimbursement program and found it to be legal. 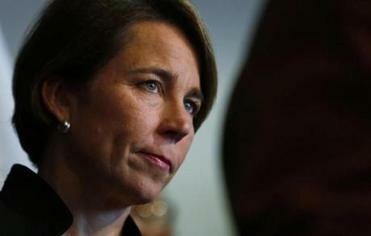 One former government watchdog said he didn’t see why Healey needs to recuse herself. 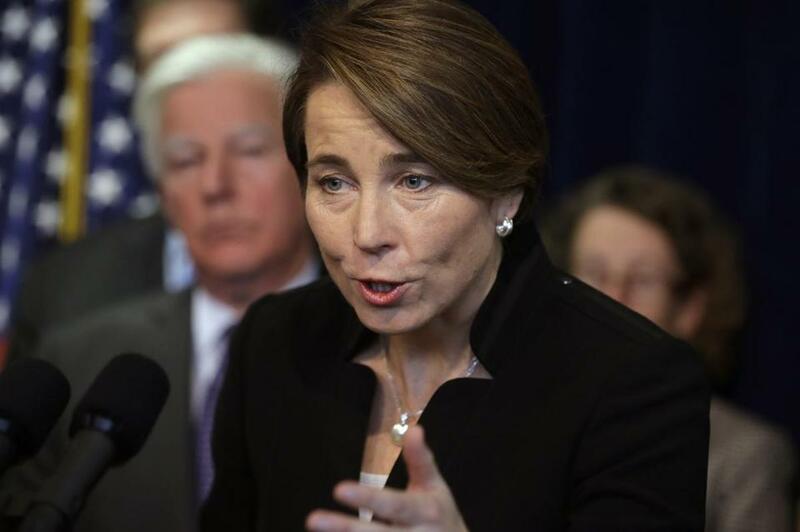 Greg Sullivan, the state’s former inspector general and now the Pioneer Institute’s research director, said Healey would show the same commitment to applying the law fairly that campaign finance regulators did. “The fact that she received campaign contributions would not deter her from trying to apply justice in this case,” said Sullivan, who noted that one of his relatives works in Healey’s office. So far, at least 30 politicians or political committees have returned donations worth more than $1 million from the Thornton Law Firm. Most of the money was not refunded to individual partners, but went either to the US Treasury or charity. Andrea Estes can be reached at andrea.estes@globe.com.